This project is not about code, its rather about an analysis. Analysis which is done after mining a large range of data made available by ABSStat. 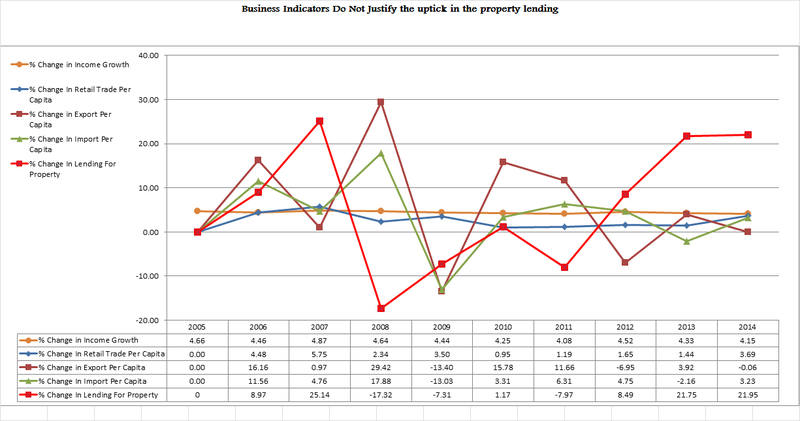 The analysis points to a possible housing bubble in Australia, through supporting data. We mined many datasets available from ABSStat to find the reality about the housing market in Australia as overall. To take into account the population growth, all the above factors were calculated on Per capita basis. Also, considering all these above factors had different units, we calculated % change of all the indices. As all the housing related activities are showing significant upswing in recent times, we wanted to check whether this means any noticable or signficant change in economic activities. For this we analysed data related to export, import and retail trade. All these data were then analysed on Per Capita basis to factor in the effect of population growth. The % change calculated on these economic indicators do not support any reason, neither show any link to suggest any huge improvement in economic activies.